Park Cameras welcomed a variety of unusual visitors to our Burgess Hill store for our Wildlife Day on 7th April 2018. From the magnificent Bald Eagle, through to the miniscule Peacock Tree Frog, the day was a festival of all things wildlife and photography related. 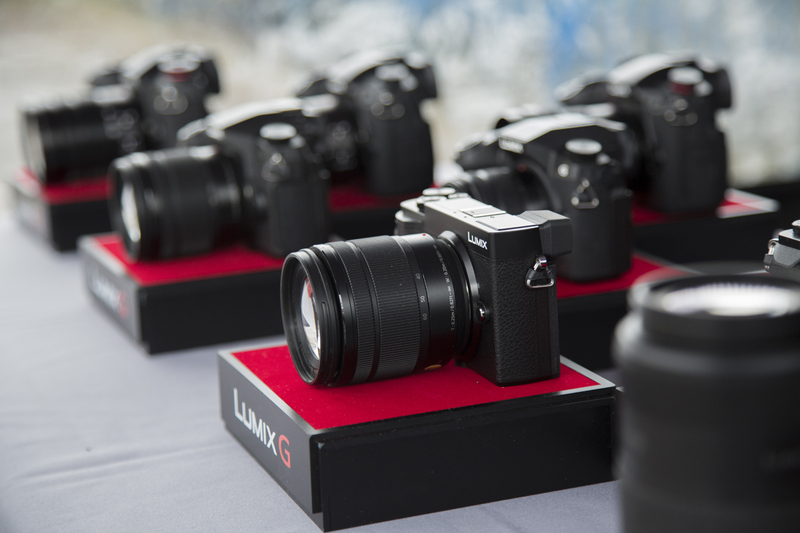 Customers were spoilt for choice, and had a unique chance to test out the best cameras and lenses for wildlife photography. As well as the most in-demand camera equipment (Sony a7 III, anyone? 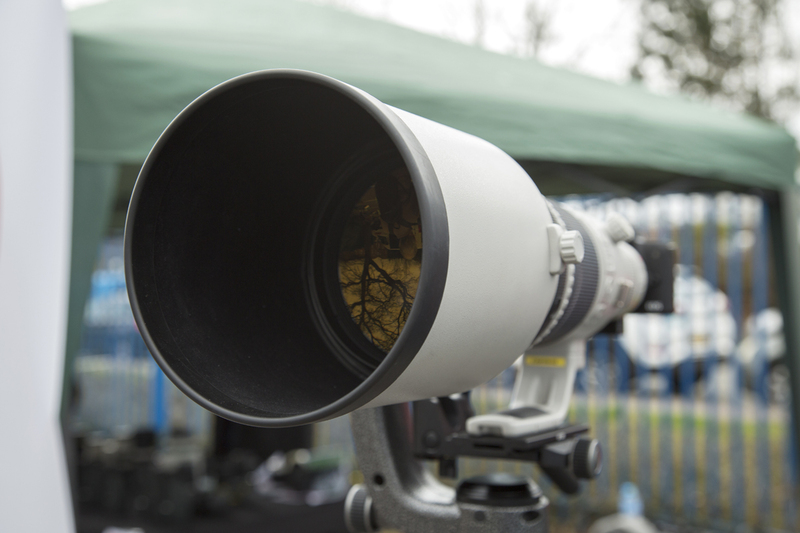 ), the latest optics and spotting scopes meant all angles were covered for the wildlife enthusiasts out there. The day also offered the chance to speak to specialists in their field – respected Wildlife photographers Luke Massey and David Newton gave talks, while nature imaging experts Wild Arena were on hand to give visitors tips and techniques to help master macro photography. With so much on offer, the event attracted a broad spectrum of visitors, with approximately 450 people through the gates. From the semi-pros parading their camouflaged kit (a Sigma 150-600mm f/5-6.3 that had recently been used to snap big cats in Tanzania), through to the local resident with a Nikon Coolpix point-and-shoot, there was one clear winner that united everyone - the birds of prey! It’s not everyday that you get the chance to get up close to these beautiful apex predators, and everyone seemed to enjoy the opportunity to take some lasting memories home with them. You can see some of the pictures taken by our customers here. Bought to us by the specialists at The Falconry Centre, an intrigued public took the opportunity to speak to the handlers directly to find out more about these fascinating creatures. 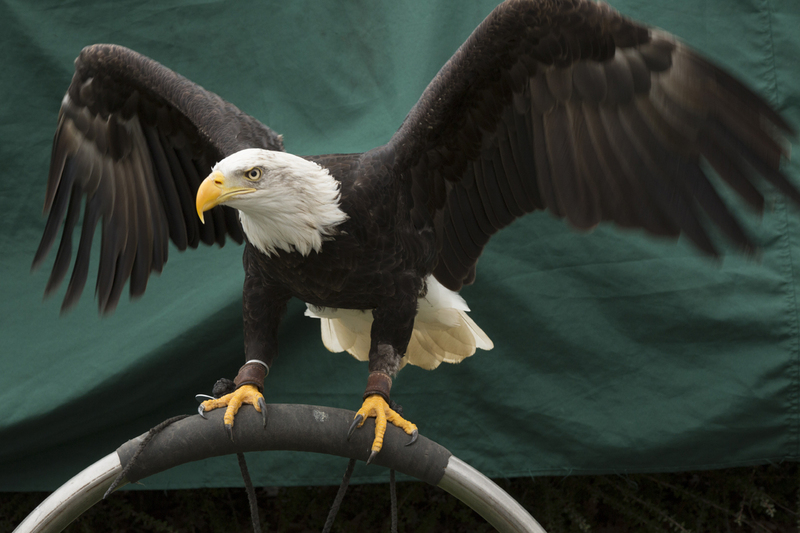 On display were a selection of birds of prey from around the world, as well as those native to the UK: a Tawny Owl, a Spectacled Owl, a Northern Hawk Owl, a Peregrine Falcon, a Common Buzzard, a Chilean Blue Buzzard-Eagle, a Golden Eagle and the impressive Bald Eagle. Here’s our store Manager Mike Chant getting hands-on experience with ‘Walnut’, a male Tawny Owl. As you can see, people of all ages were delighted with the wonders of nature! In addition to the wide range of equipment available in-store, the day saw representatives from the biggest brands showcasing the latest kit. 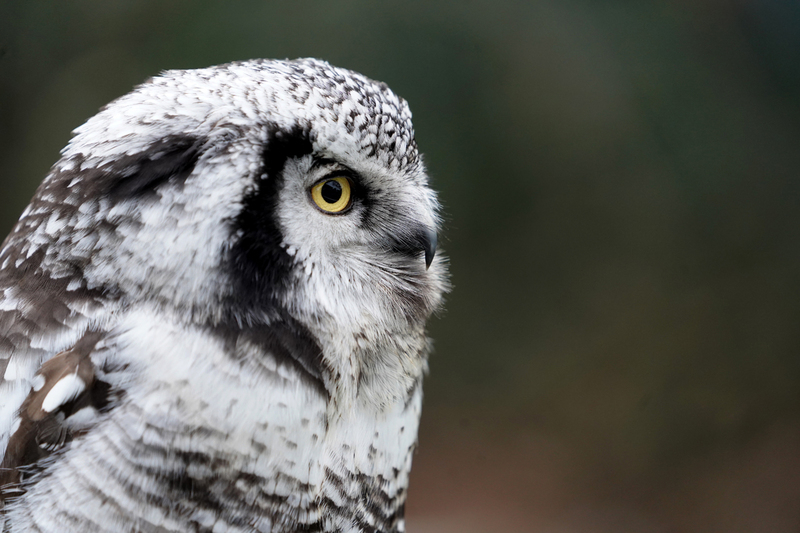 The impressive Canon EF 500mm f/4L with a 1.4x Extender drew attention all day, while the Sony a7 III, and whole mirrorless range, was placed in optimum position for snapping the birds of prey. 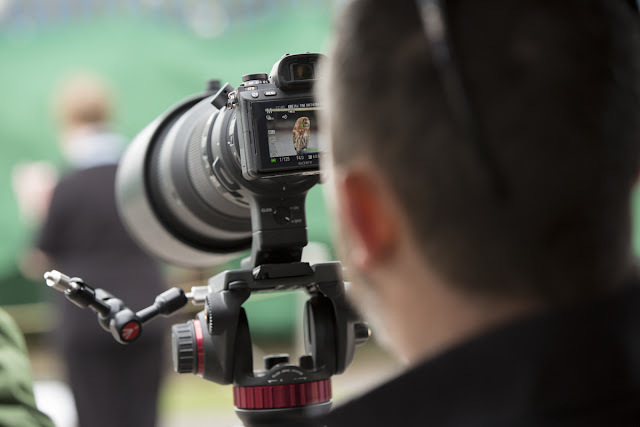 Brands represented included Canon, Nikon, Sony, Fujifilm, Panasonic and Olympus, as well as a range of Tamron lenses and Manfrotto tripods. Opticron, Swarovski and Vanguard had a selection of binoculars and spotting scopes to satisfy even the keenest of birdwatchers. 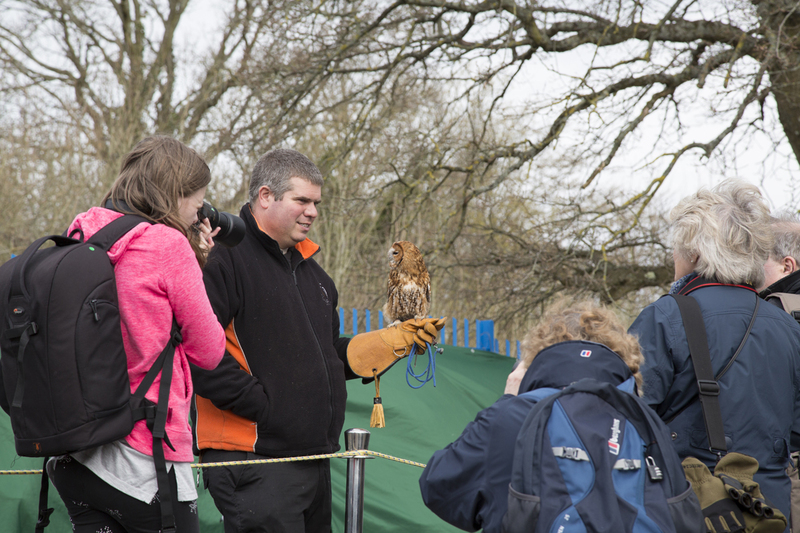 With the birds of prey just waiting to be snapped, we enthusiastically joined in with getting hands-on with the kit. The Olympus OM-D E-M1 Mk II with 300mm f4 was a delight to use – smooth, silent focusing gave precision results whilst being portable enough to forego a tripod. The Nikon D850 has received widespread critical acclaim, and felt reassuringly sturdy, aligned with a beautiful shutter sound that is surprisingly satisfying. Our customers loved the chance to play with the latest equipment, and there was plenty of advice available from the brand representatives, as well as our own highly knowledgeable staff of course! As well as speaking to the experts, the day offered wildlife photography enthusiasts the chance to pick each other’s brains. One customer we spoke to told us he found it invaluable speaking to his peers about their experiences using the Nikon D500, which he is considering upgrading to. 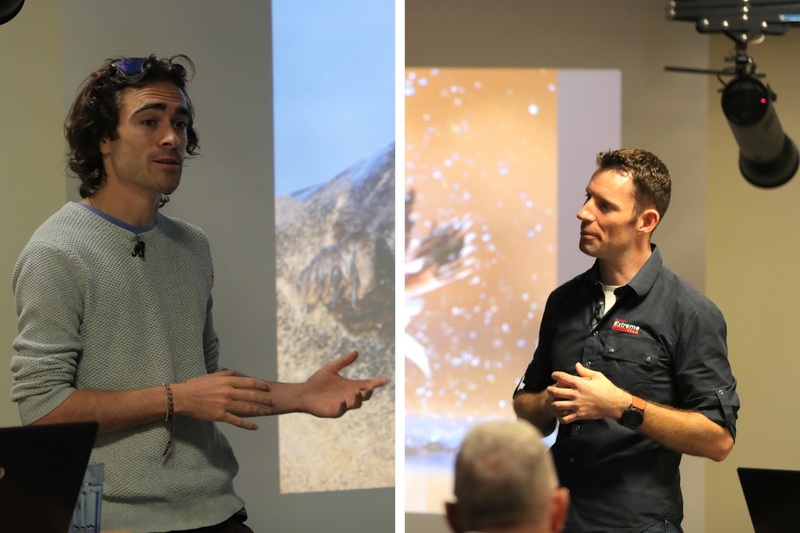 Acclaimed wildlife photographers Luke Massey and David Newton held seminars that proved to be exceptionally informative, packing out our event room to a keen audience (click here to see how you can get involved with our wide range of events and training days). 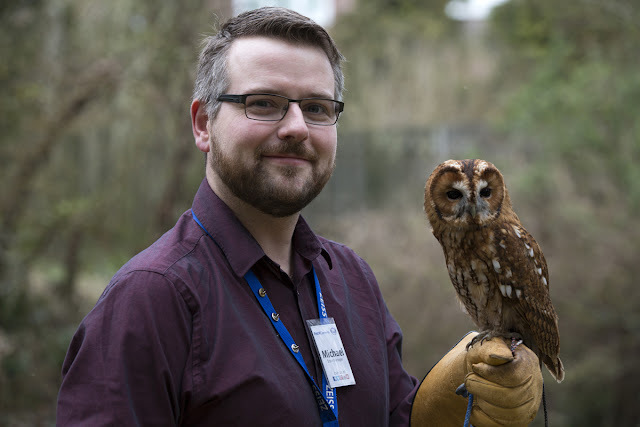 Luke was awarded the accolade of Young Environmental Photographer of the Year 2016 (amongst a host of other awards), and has been endorsed by none other than naturalist and broadcaster Chris Packham. Luke has recently switched to Sony’s mirrorless system, and his seminar explored reasons behind doing so: silent shooting, lightning fast autofocus & incredible dynamic range amongst the benefits. We’ll be bringing you further details of Luke’s talk soon! 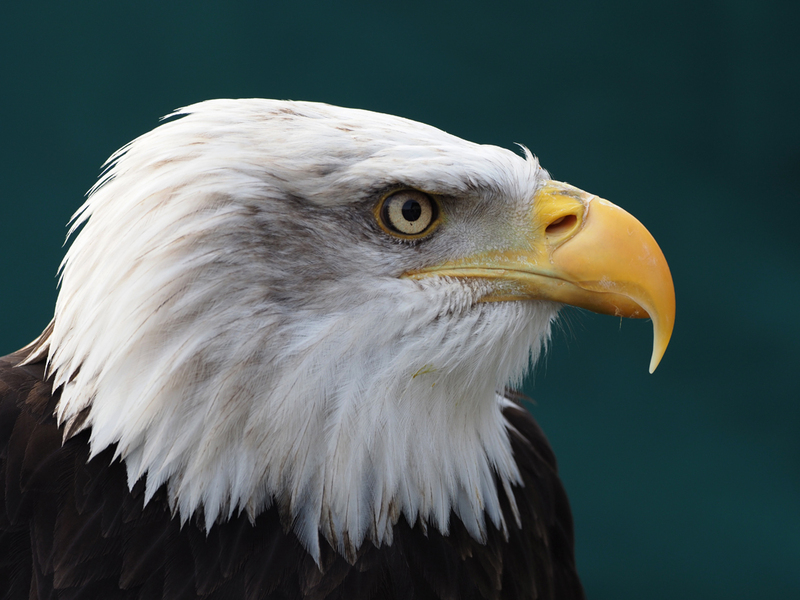 David is a brand ambassador for Canon, with a wealth of experience as a wildlife photographer, and is renown for his ability to teach and present to audiences. This background proved to be rewarding for those who attended – David engaged the audience throughout, offering an overview of his experience shooting wildlife, as well as providing insights into the stories behind some of his most famous images. As David Attenborough has always told us, you don’t have to be at the top of the food chain to be fascinating. Taking a closer look can unveil some of nature’s wonders that are not visible to the naked eye, and Wild Arena presented an array of tiny delights. 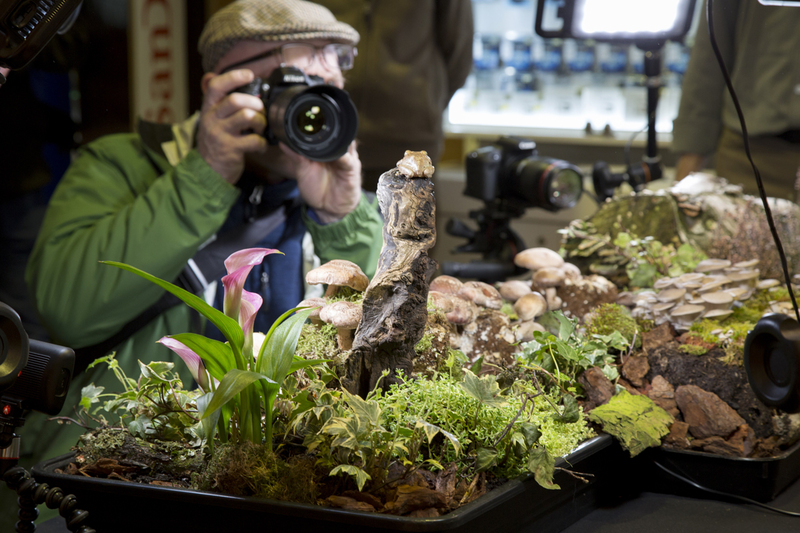 With an impressive in-store setup, customers flocked to capture macro shots of the Peacock Tree Frog, Macleay’s Spectre Stick Insect, a Crested Gecko and Tanzanian Mantis. The display seemingly grabbed the eye of everyone who came in store; Canon’s EF 100mm f/2.8L Macro IS USM pin-sharp visuals displayed on a monitor for all to see. 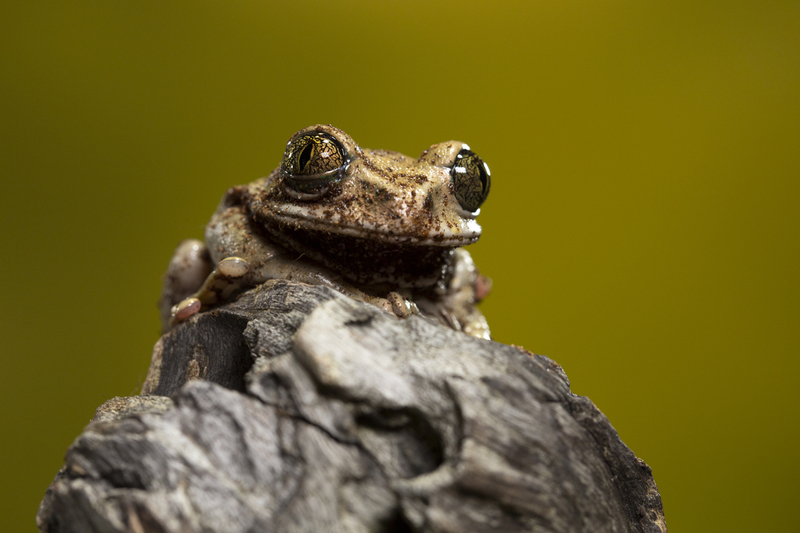 The image stabilisation and USM focusing helped us capture the shot above of the Peacock Tree Frog. All elements of macro photography were covered – tips, techniques, settings, lenses and equipment. Interestingly, the topic of focus-stacking seemed to be trending amongst our customers. We have written about the different ways of approaching macro photography – learn more here. If you missed out on Wildlife Day, don’t worry – we’re planning on running another day at our Burgess Hill store later in the year. You can keep an eye on our events page, sign-up to our newsletter and follow us on Twitter and Facebook to be the first to get the news as it is announced! Click here for our full length video roundup including interviews and product recommendations.